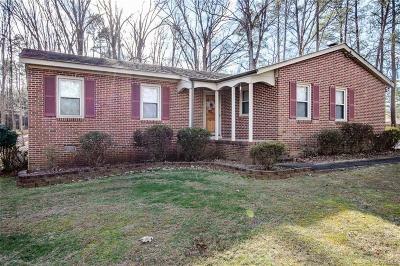 Welcome home to this beautiful property located in the most desirable part of Richmond, only about 5 miles from Short Pump. The one acre main parcel with a Brick Rancher, adjoins a 2.6 acre piece of land. Home has brand new floors, New paint, New roof on a detached two car garage, New garage doors, Vinyl windows, 30 year shingles, mature trees. really beautiful! !